Over the past 10 years, society has undergone a tremendous shift. In days of yesteryear, times of peril seemed thousands of miles away but now lives on the country’s doorsteps. Following the attacks of 9/11, Americans became inundated with alerts of danger levels. Back then, it was the concern of anthrax or the possibility of another terrorist attack; today hate crimes have brought crisis concerns even closer. As such, people have witnessed the rise and adaptation of social media as it relates to catastrophe. When the Syrians attacked cities overseas it was Twitter and Facebook that allowed citizens to get the word out that things were hostile. Although the victims lived continents away, social media allowed people a front row view as situations unfolded. Recent tragedies in Paris, Belgium, and other areas have now given way to new and progressive apps that allow both victims and concerned families to know instantly that their loved ones are okay. Over the weekend, one such app surfaced on Facebook that read: “’Profile Name’ is safe.” Created in 2014 and used for the first time in the U.S., Safety Check provides quick relief for those watching the news wondering if a family member or friend is in harm’s way. Many can remember how devastatingly painful it was to wait for a call, text or email from someone living anywhere near New York that fateful day in September 2011. This app has the potential to alleviate those stomach knots of anxiety and stress. Unfortunately, hate crimes, along with natural disasters, fuel the need for apps like this. When a crisis or disaster occurs, many turn to social media to get updates and check on family and friends. These moments of communication are vital to those who are anxious for answers. Facebook’s Safety Check app is a helpful tool that allows people to alert loved ones of their status. It is an easy and simple way to say, “I’m safe” and ease the stress associated with worry. 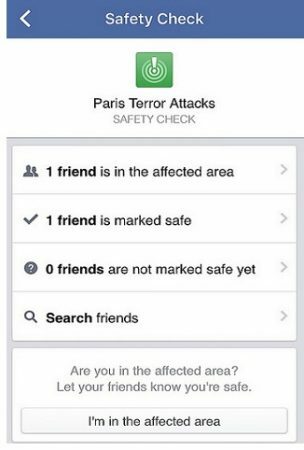 The Safety Check addition to Facebook can let family and friends know a person is safe, check on others in the affected area as well as mark friends as safe. Initially, natural disasters were the focus of concern. More recently, hate and terroristic crimes are at an all-time high further confirming the need for apps like this. According to Facebook, Safety Check was activated this weekend following the Orlando shooting and previously had only been activated eight times between October 2014 and November 2015. All nine of these times, with the exception of the last two, were a result of natural catastrophes. In the time of crisis, Facebook has seen individuals, relief organizations and first responders utilize the social media platform for answers. Although people have less control over natural disasters, hate crimes are always an “inside” job. Reportedly, the killer has a history that includes violence, bigotry, and a disdain for the LGBT community. He had internal issues which prompted the deadly shooting spree. The Orlando shooter was not alone in his hate toward this community of people. The mere existence of lesbians, gays, bisexuals, and transgenderism is, and has always been, considered a threat. The massacre at Pulse Orlando may be the worst shooting in the nation’s history, but violence against the LGBT community is commonplace. Members of this communal are victims on a regular basis and, prior to the recent shootings; they have been beaten, drowned, stabbed, and shot for the “crime” of love. 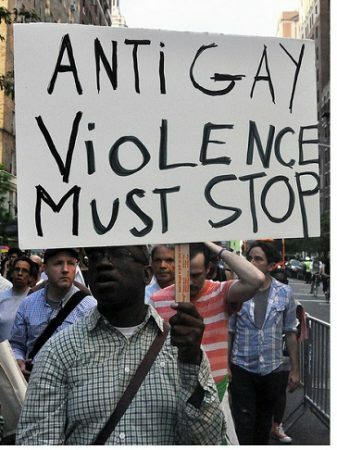 In 2016, being gay is still a radical and dangerous act. Safe places such as Pulse have sprouted up all across the country for the LGBT community, which often suffers rejection from family members and former friends. With the hopes of escaping judgment and uncomfortable stares from others, LGBT affiliates gather in supposed safe places for a sense of community and family. Now, as was witnessed over the weekend in Orlando, they are not safe anywhere. Along with natural disasters, unfortunately, senseless hate crimes like this continue to fuel the need for apps like Safety Check.